So I have a friend who absolutely loves Snoopy and I wanted to make a card for her birthday this past week. I was originally thinking of making a card I had found on pinterest with flowers made from heart cutouts but I like it when cards are more personalized. In the end, I decided to combine the two and cut out a silhouette of Charlie Brown and Snoopy sitting next to each other with a 3D flower right next to it. The middle is a pearl bead I had from my sewing supplies. I guess it's a good thing I hoard craft things! Crafting Days! 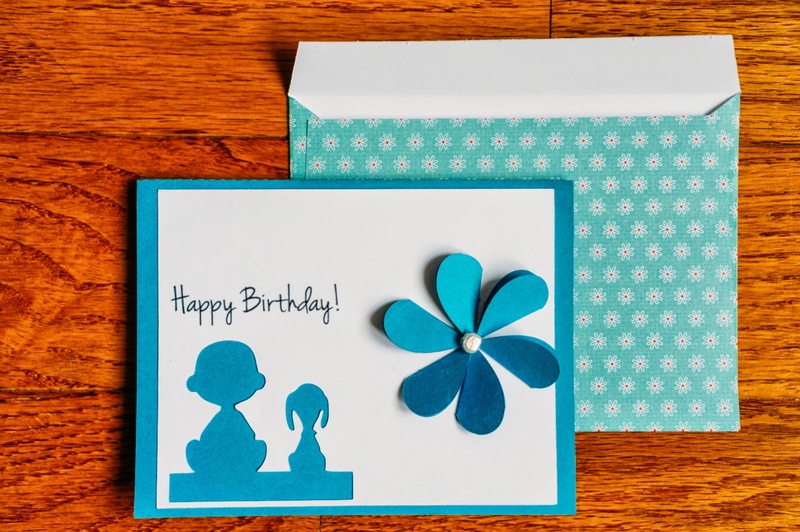 : A big happy birthday card! Crafting Days! : From drawing to real life card!